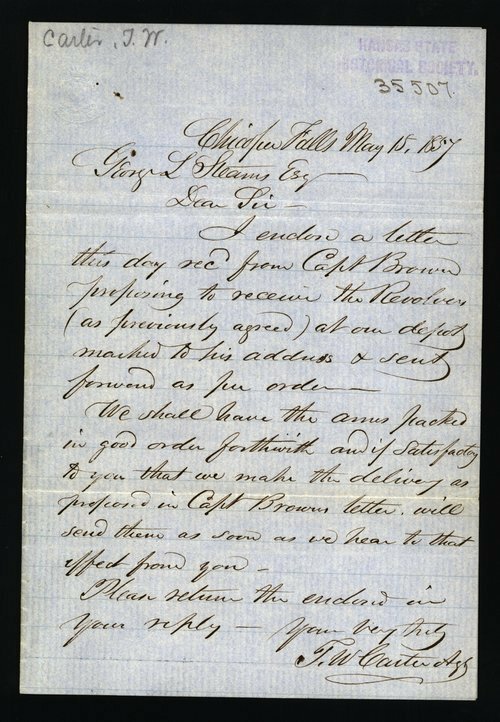 John Wesley Carter of Chicopee Falls, Massachusetts, wrote George L. Stearns regarding the shipment of arms to Captain John Brown, who had requested the firearms in previous correspondence. Carter asked for confirmation of the delivery address and stated that he would ship them as soon as he received word from Stearns. A searchable, full-text version of this letter is available by clicking "Text Version" below.